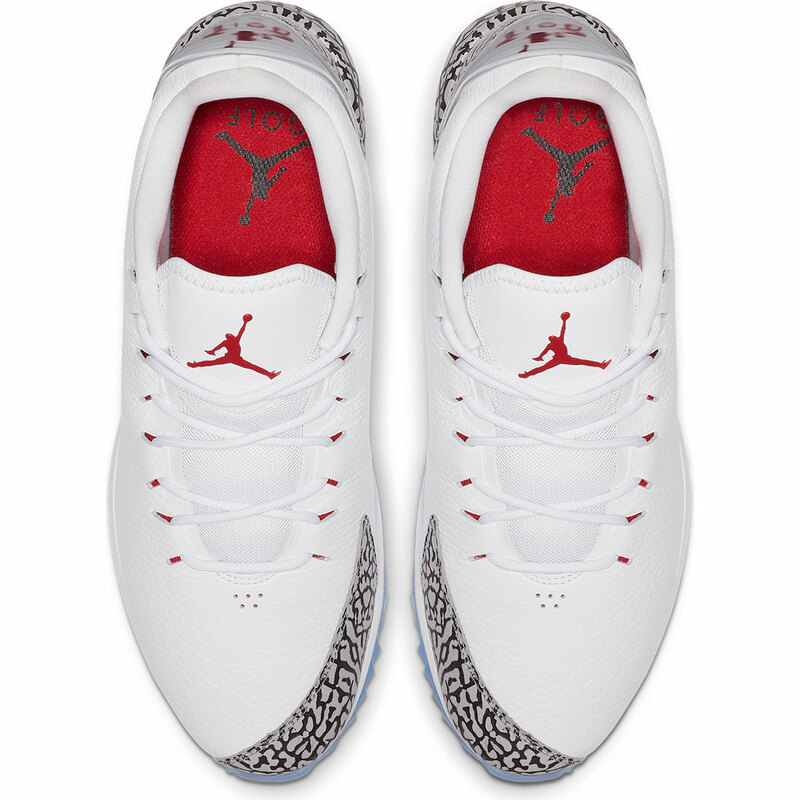 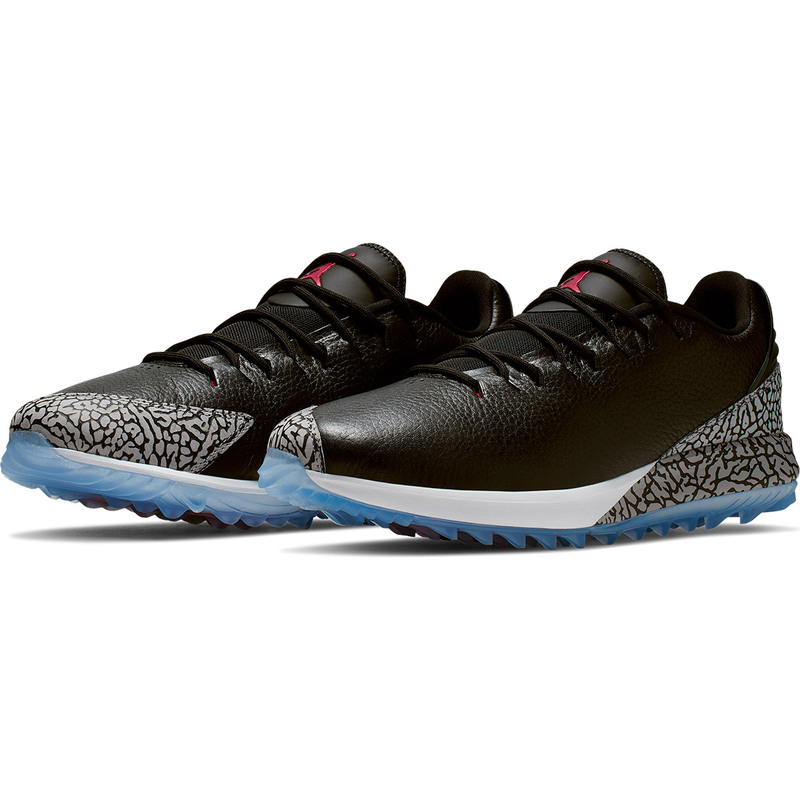 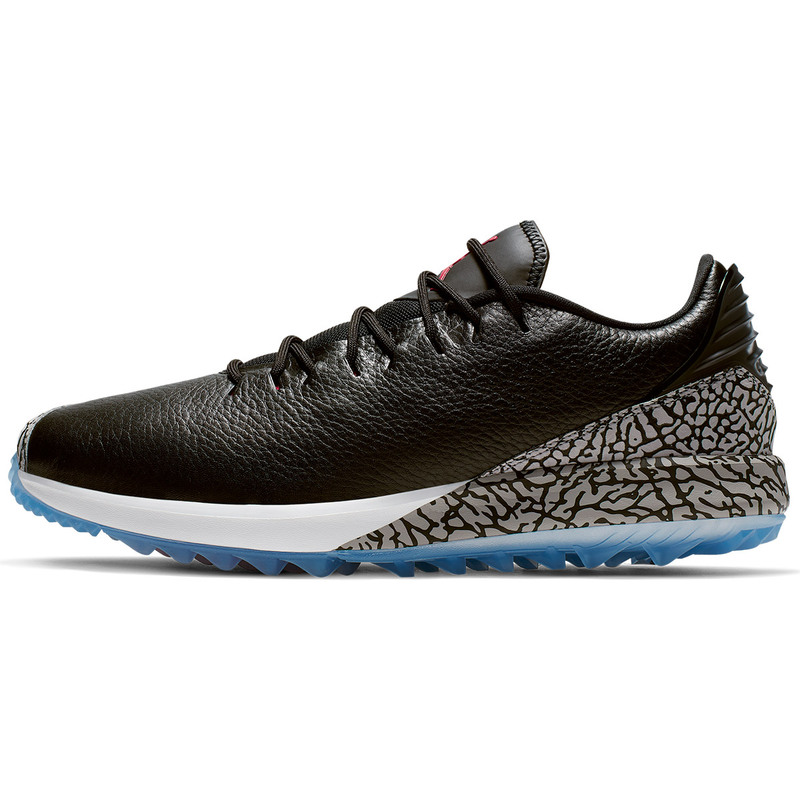 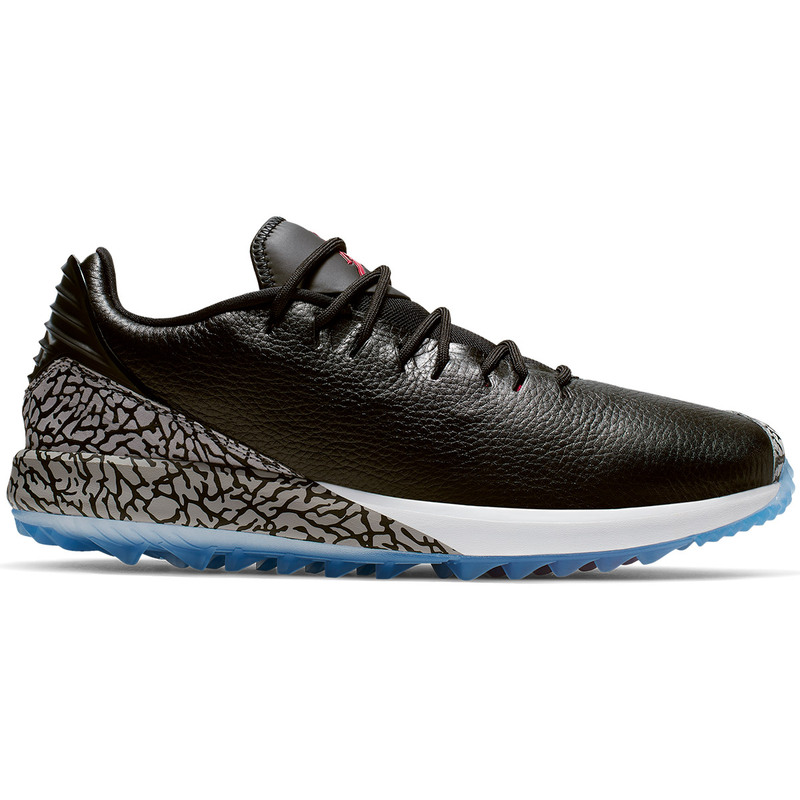 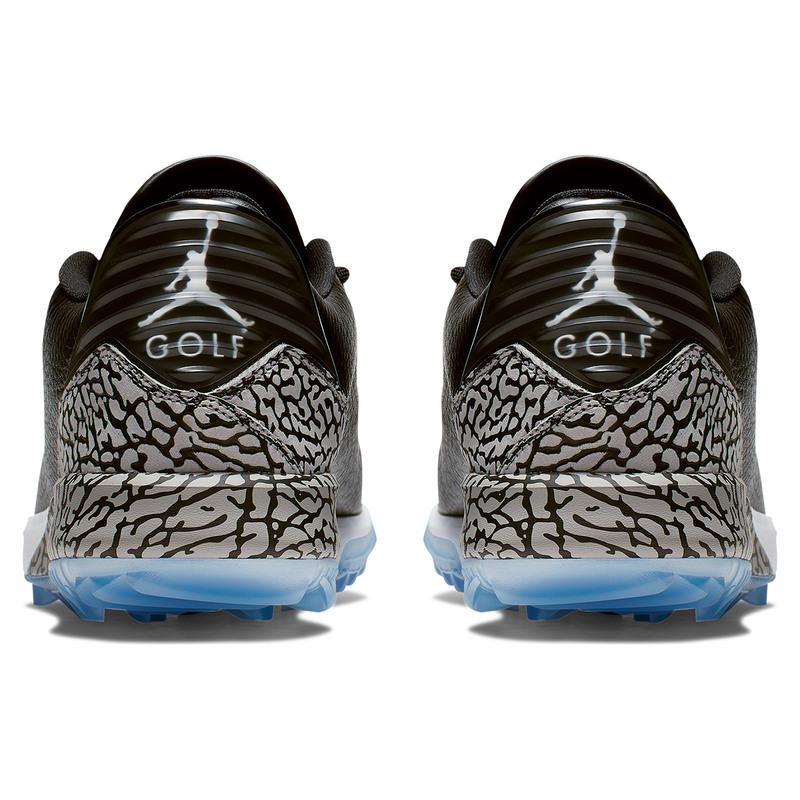 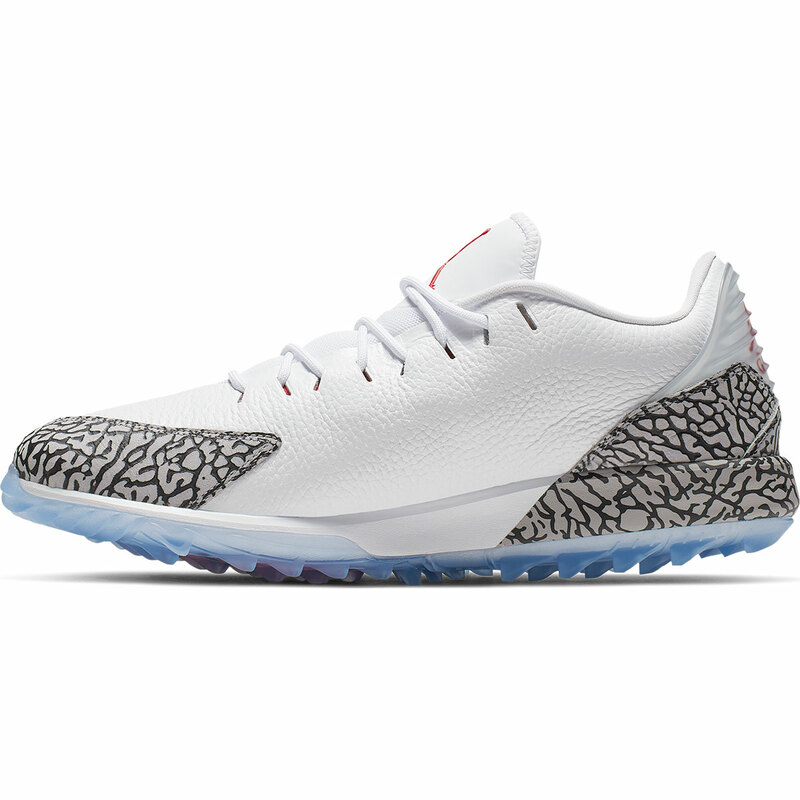 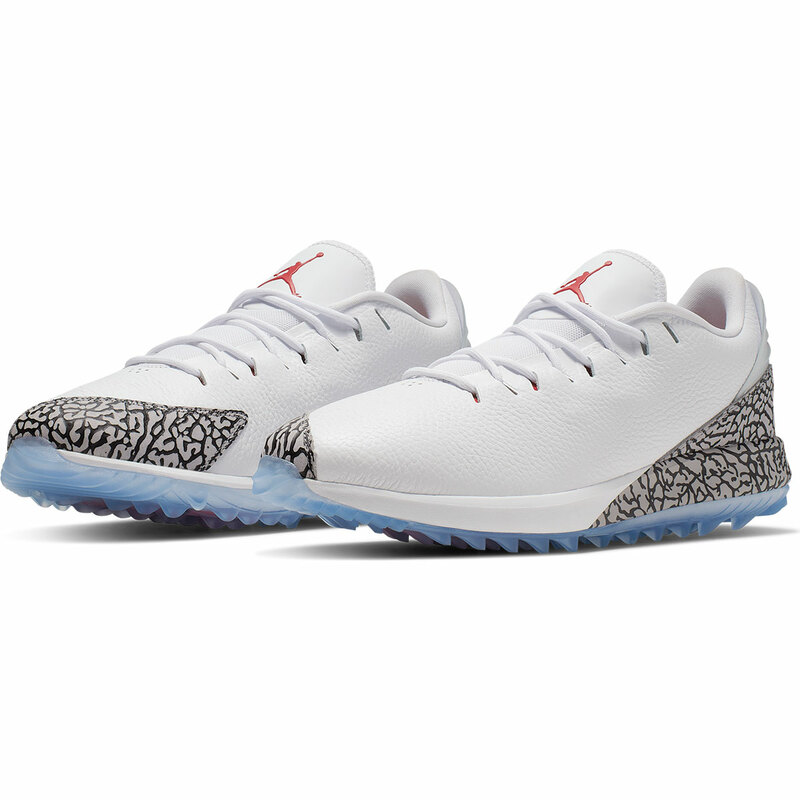 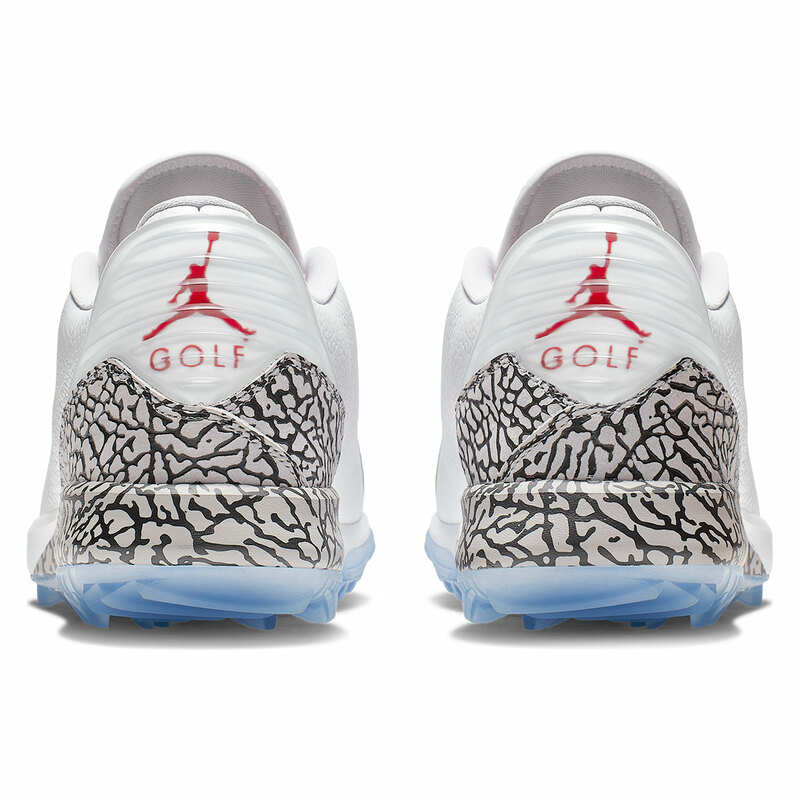 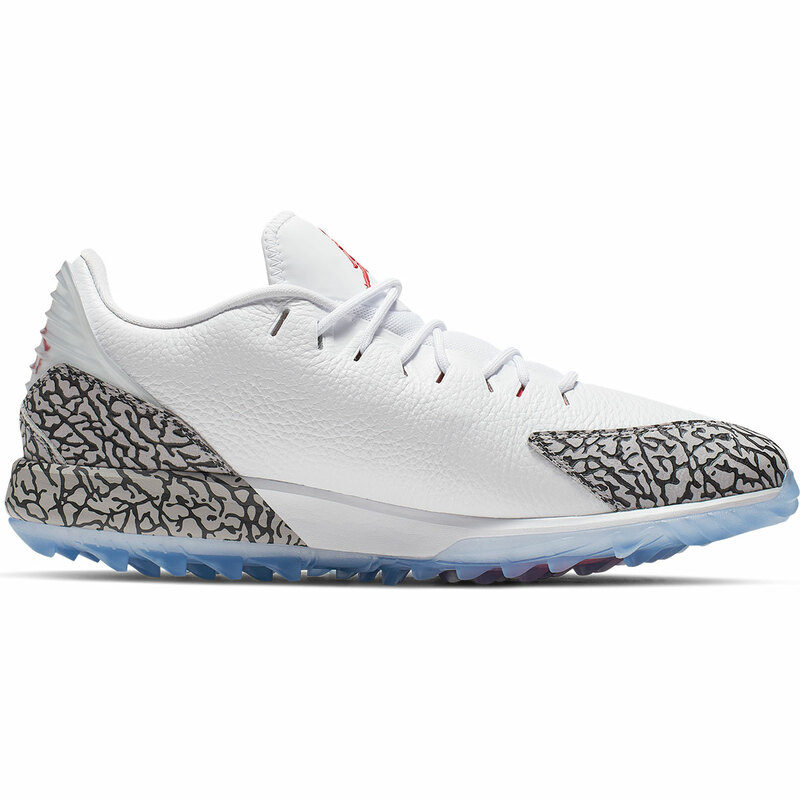 The Nike Jordan ADG golf shoe creates an innovative on-course experience, thanks to Jordan ADG which optimizes cushioning and ground feel. 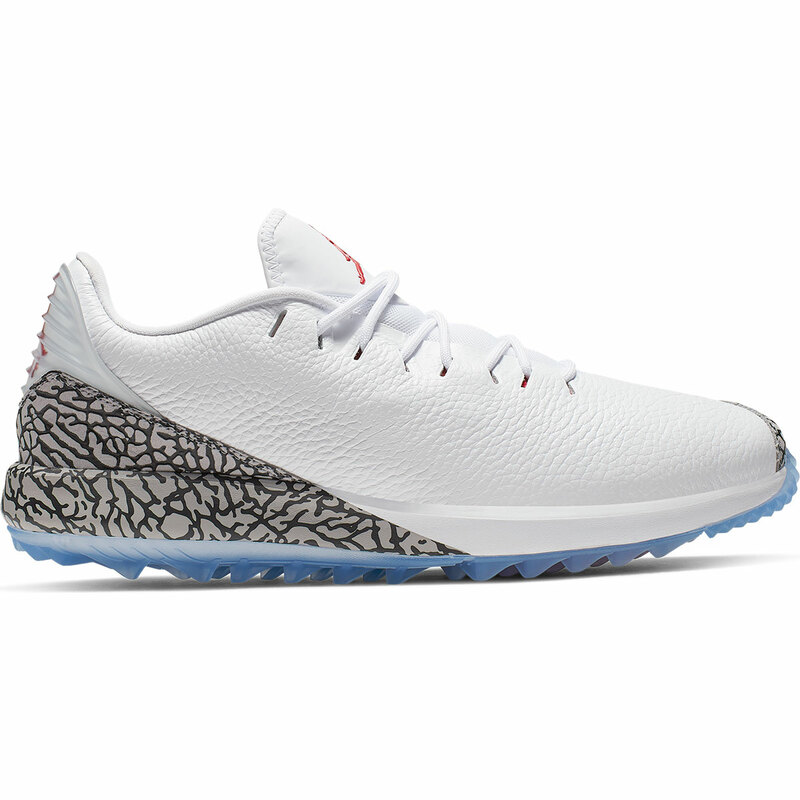 The shoe features a flexible foam injected Phylon midsole which allows your foot to move more naturally through the golf swing, with a Zoom Air unit to give responsive cushioning. 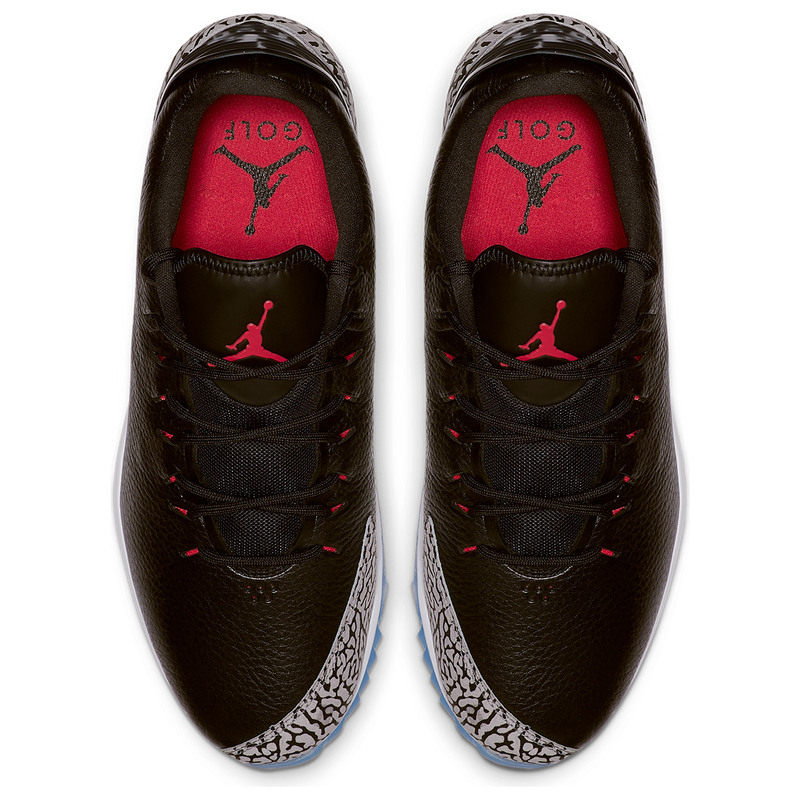 The design features an iconic elephant print on the heel and toe and a partial inner sleeve to wrap around your foot for a sock-like feel. 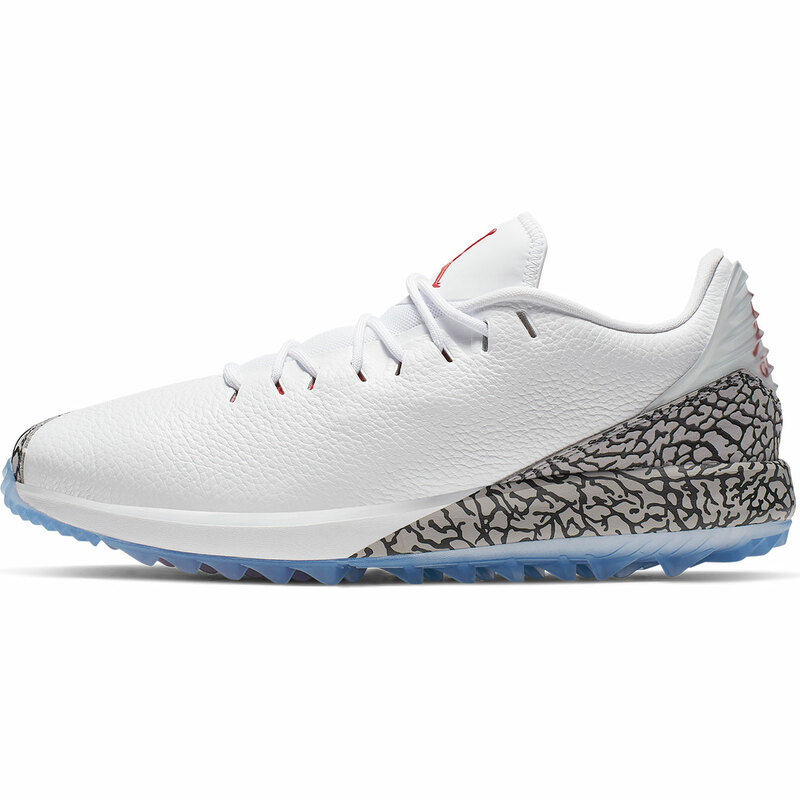 The shoes have integrated laces to lock you in and have a spikeless traction system to enhance grip both on and off the golf course.